For decades, the Toyota Camry has offered dependable transportation and comfort to families near Bowling Green. Redesigned for 2018, the newest edition of this trusted sedan adds a new suspension system, an upgraded engine, and numerous standard safety systems. 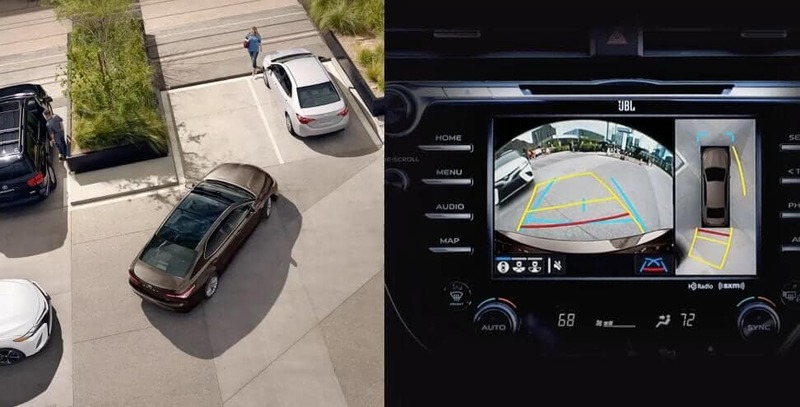 If it’s time to trade in your old family vehicle, the Camry’s advanced safety capabilities deserve a close look. Find out more in this guide from Watermark Toyota today! The Camry uses warnings and a brake preparation system to help you prevent a collision, and it can even automatically active the brakes. If this feature detects that you’re drifting outside clearly designated lane markings, it can make small steering adjustments to correct your path. When no other cars are present on the roadway, the innovative Camry’s high beams activate for better nighttime visibility. Using radar technology, this feature helps you maintain a preset distance behind the vehicle ahead of you if they’re travelling at a slower speed. While many models make you pay more for active safety features, the Camry includes the Safety Sense P system in all models. In addition, ten airbags throughout the car provide excellent collision protection, and Toyota’s Star Safety System combines multiple safety features like Brake Assist and Vehicle Stability Control to make the Camry one of the safest sedans on the market. While all models include a helpful Tire Pressure Monitor, higher trim levels upgrade that feature with direct pressure readout. Having the correct tire pressure isn’t just safe—it helps you maintain ideal fuel economy numbers as well. Lastly, consider upgrading to a model with a rear cross-traffic braking, intelligent clearance sonar, and full-speed active cruise control. These assistance features perfectly complement the existing Safety Sense P system to make your new sedan safer than ever. To learn more about Watermark Toyota’s selection of 2018 Camry models or to compare Toyota’s safety offerings to Honda Sensing, visit our showroom at 1055 Crossing Place in Madisonville, KY. Our Watermark Warranty provides spectacular peace of mind, and when you apply for financing online, you can get preapproved for a competitive interest rate. Schedule a test drive online to experience the redesigned Camry for yourself!